Shorecrest Construction is dedicated to providing superior craftsmanship and exceptional quality service. 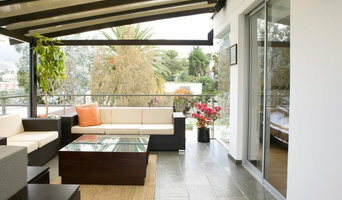 It is our purpose to ease our client’s construction hassles and create a more gratifying experience. Every project begins with a vision and every detail matters. Together with our dedicated team of professionals and subcontractors, we seamlessly manage each project to completion. We understand that there are a lot of firms for you to choose from. We believe that selecting your General Contractor wisely is the most important step in securing your investment. To deliver on our commitment to you, we listen carefully to your needs to provide all that you expect, and more; superior craftsmanship, attention to detail, exceptional project management, and client service. Our staff, whether obtaining permits or pouring concrete, is dedicated to making your project a positive experience. To provide a powerful team that shares our core concepts of transparency, trust and integrity, we work with only the most reputable subcontractors. We are proud that our business has rapidly grown from remarkable referrals from respected individuals and corporations. For Shorecrest, a project is only a success when we both walk away satisfied that our choice to work together was indeed a great investment. We want to feature your project in our portfolio. We want you to refer us to you friends and colleagues. We want you to consider us the only firm for your future projects, and so we promise to do all we can to exceed expectations. We are a design studio committed to provide excellent services and products to our customers in the retail business, residential and commercial interior design, delivering high quality products at the best available prices and providing the best customer service, always taking care of our clients needs and getting adapted to their special requests. Our team is composed by architects, engineers and graphic designers, with a great expertise, passionate for constant renovation and enthusiasts for excellence and hard work. We will listen to your needs, we will discuss on a budget, and will focus on offer you the highest quality product at the most reasonable price. 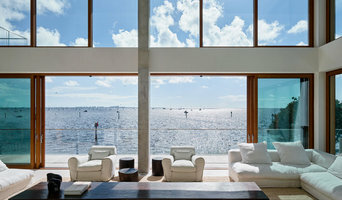 We work to become an innovative and high quality design studio in Florida, Latin America and The Caribbean. Design-build firms take on the responsibilities of architects, contractors and construction companies, all under one roof. These full-service firms focus on a streamlined design-build process — from the initial design to the estimating phase to physical construction — in the hope of creating an efficient experience for both the client and the company. Because the entire project is happening within one company, Miami Shores design-build firms are able to overlap the design and construction phases of the project, which often speeds up the project significantly. In addition, these firms work to minimize risks for the project owner through single-point responsibility contracts. However, depending on the firm, you may still want to contact an interior designer or architect to help create the exact look you want. Here are some related professionals and vendors to complement the work of design-build firms: Interior Designers & Decorators, Landscape Architects & Landscape Designers, Architects & Building Designers, Photographers. Before deciding on a residential design-and-build company in Miami Shores, FL, think about what you want from your new home. Do you want a large kitchen for entertaining? Do you need several bedrooms for children and guests? Do you want a finished basement for extra space or storage? 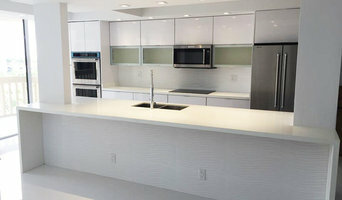 Look for Miami Shores design-builders that specialize in the areas you're looking for. Budget is obviously a determining factor in the outcome of your project. To make sure you stay within your means, consider making a must-have list and a wish list. Gauge where the estimates are falling to determine which design-build contract can realistically strike the balance between the two. Find a Miami Shores design-build company on Houzz. Narrow your search in the Professionals section of the website to design-build firms in Miami Shores, FL. 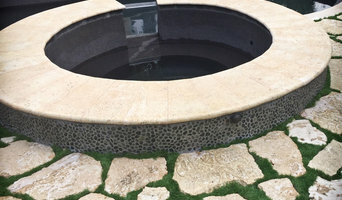 You may also look through Miami Shores, FL photos to find a pool you like, then contact the design-build firm that created it.